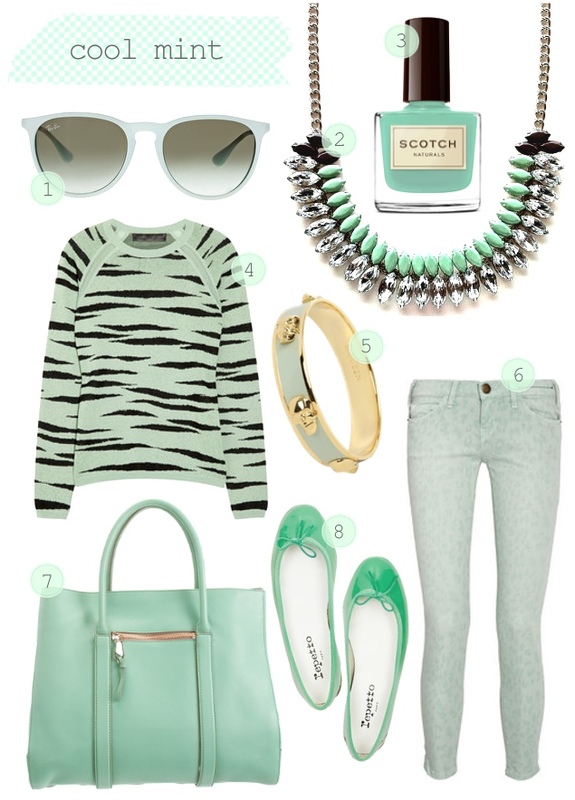 with st. patty's around the corner & mint currently being my favorite pastel color i thought i'd share some of the things i've been coveting that i thought were mint worthy. Drooling over the tote. So pretty and feminine! Ah, mint. Pretty picks and nice layout. I could see you rocking any one of these items. I always try to buy a new pair of sunglasses to kick off spring/summer and those Ray Bans are looking real good. eek...just fixed it :) thanks for telling me!